Thursday’s numbers: Rachel Maddow-Bret Baier-The Five 1-2-3. Saved by a Fox News fanny pack. 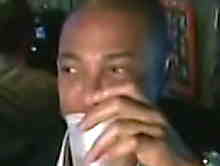 ?Phinney: We love Don Lemon. Somerby: O’Donnell’s favorite word, yet he doesn’t understand it. Sean of the cinema meets?Martha of the movies. ?Q&A: O’Donnell. Fair and balanced MSNBC panel: Hillary loss?due to media fairness. Brian Stelter victory lap triggers some lessons in constitutional law. Jacobson: Acosta lawsuit?will harm journalism. ?Judge: Give it back. O’Reilly: Fox backing Acosta means their days as mavericks are over. Updated 6:27 pm? ?Use our valuable bandwidth to post your?cable news comments?in today’s open thread. Acosta: Migrants won’t climb the fence; pics prove otherwise. Can Fox Nation reach younger viewers? ?When Dana?met Peter. DC mayor ignoring inquiries about hate crime at Carlson home. Howe: Cuomo skips Avenatti news, rest of CNN barely touches. Author of Justice Ginzburg encomium hired as CNN contributor. Tucker video: CNN cries ‘free speech’, as it?tries to silence others. President Trump on next Fox News Sunday. ?Here come the judge. First ruling in Acosta suit set for today; update. ?Son salutes Father. Today’s lawsuit update; another update. ?Audio?Q&A: Juan Williams. Updated 6:09 pm? ?Use our valuable bandwidth to post your?cable news comments?in today’s open thread. Wednesday numbers: Sean Hannity-Maddow-Ingraham 1-2-3. 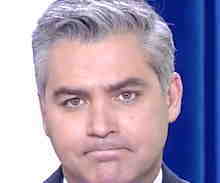 Adams: No, Trump does not have to help Acosta grandstand. O’Reilly: Acosta’s job is seek info, not captain of debate team. Somerby: No disputes, questions, or alternate views allowed! Adam Housley searching for niece. Update: Among the victims. Choosy cord-cutters choose FNC: tops live streaming coverage. Fox News midterms coverage the highest rated in cable history. NYT rundown of cable news election coverage 8pm to midnight. Five facts you didn’t know about Deirdre Bolton. ?We’re so sorry. Arrest made of AR man accused of phone threats to Don Lemon. Katz: Wide array of media figures stick up for Tucker and family. Tucker: It wasn’t a protest; it was a threat…to me and my family. Mob shouts threats as they storm home of ‘racist’ Tucker Carlson. CNN?American Woman profiles candidates; all air before election. Impartial CNN anchor: Conservatives want only?white male judges. Updated 6:19 pm? ?Use our valuable bandwidth to post your?cable news comments?in today’s open thread. 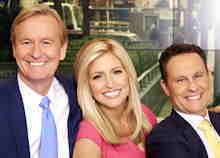 Thursday numbers: Hannity-The Five-Kilmeade (for Tuck) 1-2-3. O’Reilly: In a huge week for news, MSNBCNN ratings plummet. 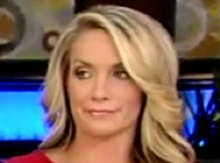 Fair and balanced: Dana Perino dings both sides in Strzok hearing. CNN pushes Facebook to ban InfoWars. ?Posthumous Emmy noms. Smith: CNN abandons ‘Money’ branding, will debut ‘CNN Business’. Clarissa Ward:?globetrotting correspondent. ?Chatterley joins CNN. Judge Jeanine talks up her new book. ?DoJ moves to stop ATT deal. Updated 7:03 pm? ?Use our valuable bandwidth to post your?cable news comments?in today’s open thread. 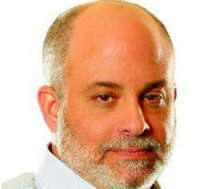 Tuesday’s numbers: Hannity-Laura-Tammy (for Tucker) 1-2-3. The rain in Spain?falls on Steve Hayes. ?Lauren Sivan resurfaces. Twitter slams Terry Moran for implying Bream was lying. ?More. Cooke: (MS)NBC reporter illustrates why?many dislike the press. Media Matters complains, so Pirro’s gig with?O’Reilly?is cancelled. Today’s specularama: With Trump hiring Shine, Hannity is ‘isolated’. Bidding war driving up price for Sky. ?Brianna to get 1pm weekdays. MSNBC leans way forward: Four hours, 27 guests, no conservatives. training for 2033 Mars mission. Splitsville: Christiane and Jamie. ?Former CNNers join blockchain net. Reliable Sources: Trump lies; lying Trump; lying Hannity;?Pruitt. Joyella: One year post-O’Reilly/Ailes, Fox News still dominates. See ya in the funny papers. ?War on Fox update. ?Sunday talkers. Q&A: Martha MacCallum. ?As CNN played along, Kornacki didn’t. Somerby: Like Pravda, Maddow omits facts contrary to party line. Updated 2:55 pm? ?Use our valuable bandwidth to post your?cable news comments?in today’s open thread. Tuesday’s numbers: Hannity-Laura Ingraham-Maddow 1-2-3. Somerby: Why are MSNBCNN ignoring the?3,000 missing clams? Bitter Bob Beckel blasts?his ex-employer. ?More CNN?fuzzy math. ‘Tone deaf’ MSNBC assigns?homophobic host?to racism town hall. SpongeBob tops Tapper: ?CNN’s ratings fall below Nickelodeon’s. Bill O’Reilly calls US media ‘a real threat‘. ?John Moody finds work. Tomi and Mom get?drinks hurled at them. Zurawik: She asked for it. Updated 6:12 pm? ?Use our valuable bandwidth to post your?cable news comments?in today’s open thread. Dems can’t get MSNBC to talk issues, only Trump ‘scandals’. 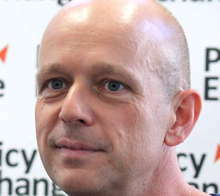 Crowdfunding site fires Steve Hilton, won’t fund any GOPers. Street: ?Not-so-tough Tapper gives Avenatti a pass on threats. With 74 hits in 10 weeks, he’s CNN’s most frequent guest ever. Concha: After gaffes and threats, stop giving Avenatti air time. Laura advertisers have not all returned, but ratings keep rising. 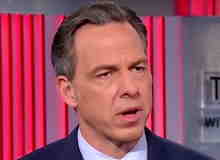 CNN to trim Tapper ads. ?Must-pee TV: Cuomo/Pelosi town hall. TV Eyes loses rights to FNC/FBN video. ?Book party too ‘Trumpy’. FNC, AP team up on new polling system. ?Today’s lawsuit update. Grove: Bill O’Reilly?might get a show on Newsmax TV…eventually. Monday’s numbers: Sean Hannity-Ingraham-Tucker 1-2-3. Impartial CNN reporter?puts crosshairs over pic of Trump. 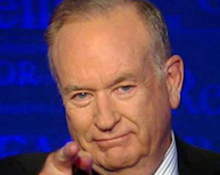 Report: O’Reilly in talks to take over 8pm?on Newsmax TV. Impartial MSNBC reporter calls Gaza protesters ‘unarmed’. Your royal wedding coverage preview. ? ?Weekend numbers. Street: Is this the reason why Avenatti won’t go on Fox News? HuffPo shames journalists who endorsed new Bret Baier book. Laura Ingraham has huge ratings week, beats Maddow in demo. 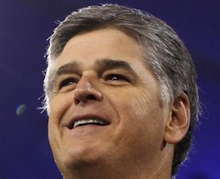 Monday’s numbers: Sean Hannity-Laura-Tucker 1-2-3. O’Reilly?sticks up for Sarah Sanders. ?Weekend numbers. Lucky dog: Spike gets assistance training at Fox News HQ. Lemon: CNN will cut back on live Trump coverage in 2020. Six things you didn’t know about those sneaky CNN drones. Flood: (MS)NBC embarrassment. ? (MS)NBC’s very bad week. Sorry,?Fox News still thrives?under new Facebook algorithm. Tapper tome surprisingly good. ?Today’s (bizarre)?lawsuit update. Updated 6:02 pm? ?Use our valuable bandwidth to post your?cable news comments?in today’s open thread. Friday’s numbers: Maddow-Hannity-Laura Ingraham 1-2-3. Jake dabbles in fiction. ?Van Jones in Phoenix. ?Target: Hannity. Slate recants ‘theory’ of Fox misreporting. O’Reilly makes book. Police ambushed, killed in Florida get short shrift on MSNBCNN. Thursday’s numbers: Sean Hannity-Maddow-Ingraham 1-2-3. Where are they now? ?Very fake news. ?CBS wants to buy CNN. Ex-employee sounds off to CNN’s Jeff Zucker. ?Today’s lawsuit. CNN pressure led to dossier briefing…that was leaked to CNN! Hemingway: The role of CNN, and CNN’s Clapper, in RussiaGate. CNN’s 1968 doc features Dan Rather, Gloria Steinem, RFK Jr et al. Profile: Jake Tapper, ‘staunch defender of facts in the Trump era’. Updated 4:52 pm? ?Use our valuable bandwidth to post your?cable news comments?in today’s open thread. Bauder: Ad rates soar at tv’s ‘most influential news show‘. Dems see hope in MSDNC ratings. ?Today’s boycott update. Disney-Fox negotiations could result in Disney acquiring Sky. Interior Dept officials complain about ‘f-ing idiot’ CNN reporter. Profile: Christiane Amanpour. ?F&F not involved in O’Reilly event.